A waste and recycling company was fined £700,000 and ordered to pay costs of £99,886.57 following a worker fatality from a machine accident. In 2010, the employee was working with a machine used to compress waste materials into small bales and entered the baling chamber to clear a blockage. After doing so, the machine automatically activated and struck the employee, causing severe injuries that led to his death. Further investigation revealed poor maintenance and a defeated safety interlock system caused the machine accident. In 2015, HSE inspectors discovered that the company continued to use the machine, resulting in the company director being sentenced to prison. 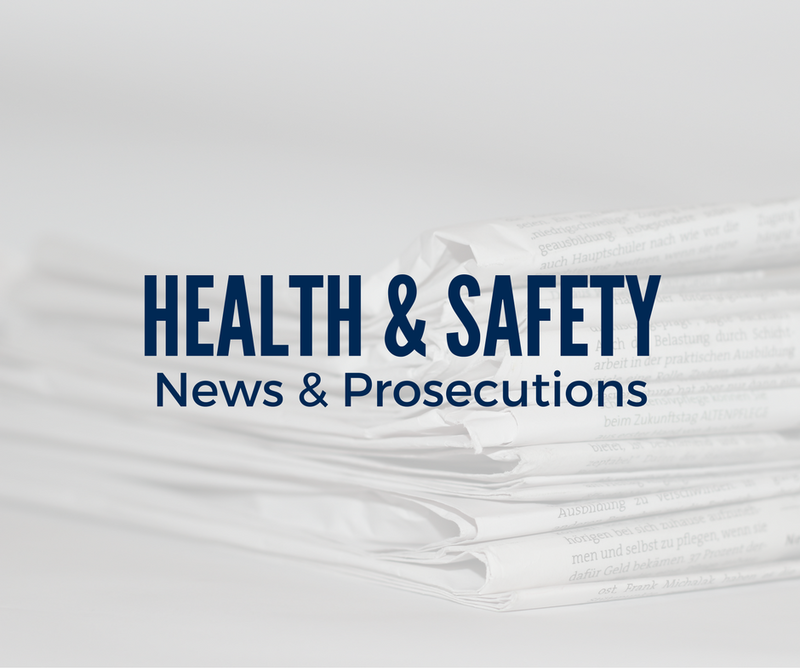 A farming partnership was fined £100,000 and ordered to pay costs of £7,310.80 after an employee suffered fatal head injuries in a tractor accident. The farm worker was struck by a moving tractor in the farmyard when he exited the calf shed. Further investigation revealed the partnership failed to create a safe circulation path between pedestrians and vehicles. For more guidance regarding vehicle safety, click here. A garden shed manufacturing company was fined £233,334.00 and ordered to pay costs of £21,620 after an employee fatality from a forklift truck (FLT) incident. The worker was pushing a trolley when he was struck by a reversing FLT. Further investigation revealed the accident was completely avoidable, but the company failed to implement their transport plan.